Evelyn A. Farris Fund - Beckley Area Foundation - Local Giving. Lasting Legacies. Evelyn Ann Farris was a life-long resident of Beckley, WV who felt strongly about supporting your local community, merchants and church. Miss Farris directed that a portion of her estate be left to a nonprofit organization. 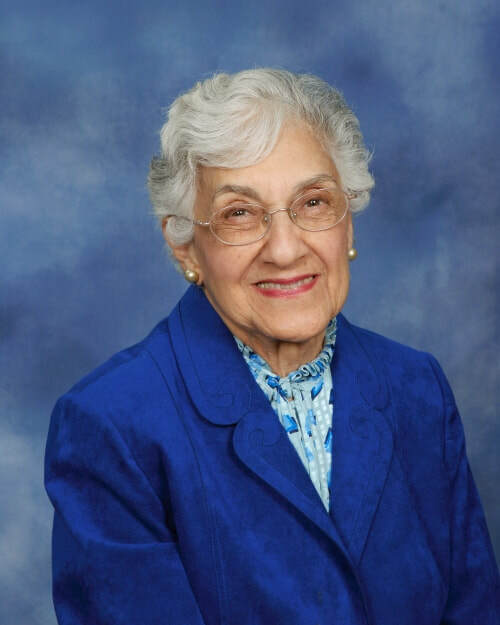 Her family has chosen to honor her wishes and her memory by establishing The Evelyn A. Farris Fund at the Beckley Area Foundation. The endowment fund has been created as an unrestricted fund to be used to support BAF’s community grant program for Raleigh County. The daughter of Gus and Jamile Salem Farris, Evelyn was one of 10 children. Gus came to America in 1907 at the age of 17 and worked for merchants in Charleston, WV before starting his own business in Beckley. The Gus Farris Department Store was a family owned clothing store that served the Beckley community for 80 years. Miss Farris spent her career as an owner and operator of the store along with three of her siblings until it closed in 1991. Miss Farris did not have children of her own but she was very devoted to her family and cared for her parents and several siblings in ill health. Her extended family was very important to her and she taught her nieces and nephews that “your health is your wealth”. She was a member of St. Francis de Sales Catholic Church.